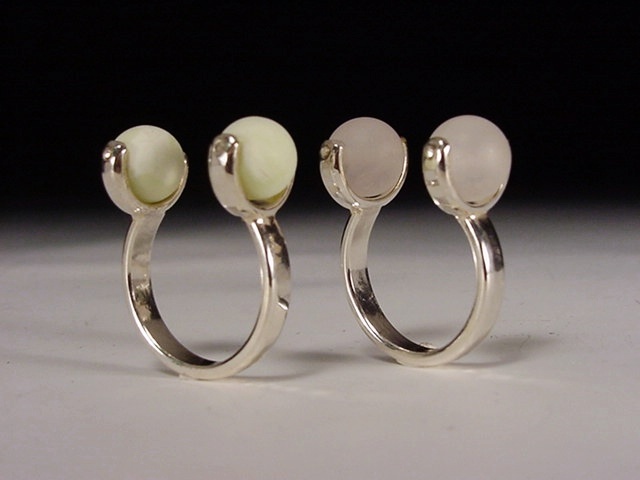 Sterling silver ring with two spinning natural gem balls. Available with lime chrysoprase (left) or rose quartz (right). Specify ring size with your order.